If you're looking for the best place to live in the country, Carmel Indiana is it - and we're not the only ones who think so! Carmel topped CNNMoney's 2012 list of Best Places to Live in America - Small Cities. Located just north of Indianapolis in Hamilton County, Carmel is noted for its award-winning school system, vibrant Arts & Design District, and beautiful neighborhoods. Scroll down to see the latest Carmel homes for sale. More than 23 municipal parks mean there's something for everyone to do in Carmel - from fishing to frisbee. The Monon Trail is a 5.2 mile paved path that runs from 96th Street to 146th Street where it connects to the Indianapolis Monon Greenway. Carmel’s Arts & Design District is located in the heart of Old Town Carmel, and features trendy galleries, restaurants, and boutiques, and shops. Homes in Carmel range from charming bungalows in the city center, to beautiful new subdivisions on the city's west side, to breathtaking estates along 116th Street - plus everything in between. The city's consistent ranking as one of the best places to live in the U.S. makes Carmel a popular choice for families relocating to the Indianapolis area. Carmel's real estate market is thriving and buying a Carmel home is always a good investment! 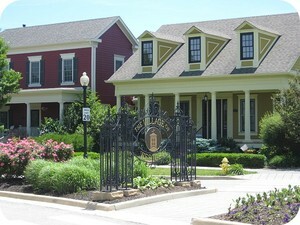 Below are the newest homes for sale in Carmel, Indiana. This information is updated daily. To search all homes for sale in Carmel and the entire Indianapolis area, just fill out the property search form above. As soon as you sign up for this free information, you'll begin receiving e-mail alerts as soon as new homes that meet your criteria come on the market. You'll also be alerted to price changes for any homes you've already viewed.